Best Wall Mounts for the Amazon Echo Show. The Amazon Echo Show will be a perfect addition to the family especially if you are running a smart home. Imagine a device that can cater to most of your needs and all you have to do is just ask. Whether its information about the weather, playing your favorite music, watching your favorite TV shows and sports, cooking recipes while in the kitchen, and many other amazing skills by just the command of your voice. Despite its design which allows you to place it on flat surfaces, it is important to keep such a device very secure from being knocked over and getting damaged. Below is a list of the best wall mounts available in the market for the Amazon Echo. 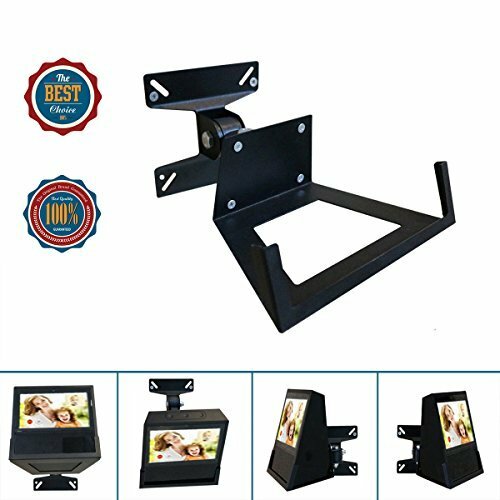 The Amazon Echo Show wall mount by HumanCentric is among the most recommended wall mounts for your device. 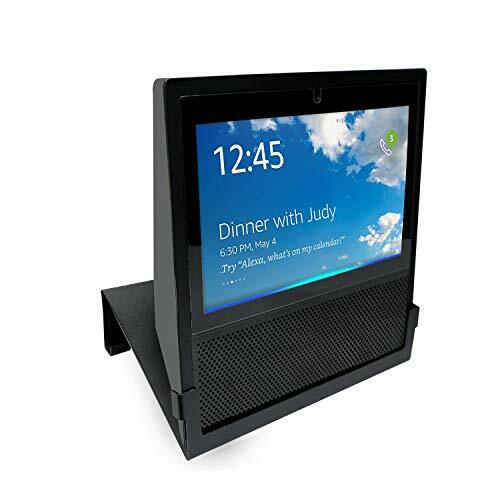 This model is specifically made to firmly hold your Amazon Echo Show in place and simultaneously give you the freedom to swivel your device to any direction for optimal viewing. Due to its small dimensions, It does not take much of your wall space. Furthermore, It is very easy to install. Immediately after mounting the bracket to the wall, you simply slide your device in the bracket for a secure fit. It also includes drywall screws. Among the best wall mounts for your Amazon Echo Show for enhanced protection and stability, be it in your office, bedroom, living room or kitchen. This model is made of high-quality durable solid steel which is immune to aging and very difficult for it to get damaged. This ensures utmost protection for your Echo Show at all times. It is equipped with three hooks at the back of the mount for easy and secure installation. It is also designed to prevent any cases of anti-skidding or anti-rolling from the bracket. In addition, it is integrated with a Charge Cord Organizer that neatly organizes your charge chords within the bracket. With its sleek and clean design, it provides a clear and classy decorative addition to your wall. This Amazon Echo Show model by BASSTOP has dimensions of 18.5cm x 12.5cm x 5cm which saves on limited space once mounted. It is also lightweight and compact which makes it unnoticeable after installation. It is made to protect your device from accidental spills and splashes, playful kids or pesky pets that may knock it on to the floor. Join2Top Matte Metal Wall Mount. This is another amazing design by Join2Top. This Amazon Echo Show wall mount is made with a solid metal base mount holder that prevents it from aging and breakage. This also ensures more security for your device. 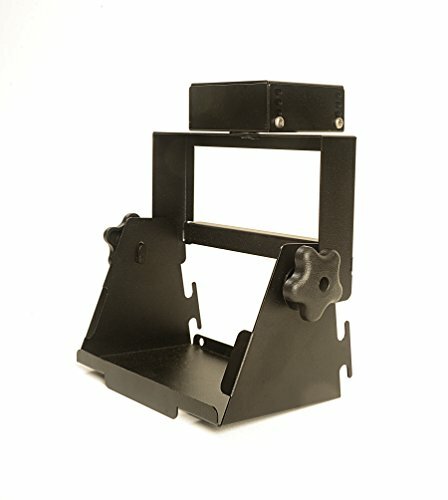 The Echo Show wall mount is designed with the most swivel than most wall mounts for such devices. With its wide swivel angle, you can get the best view from anywhere it is placed in the house. It allows you to tilt your device forward to eliminate glare from window lights or tilt it back for extra glare. 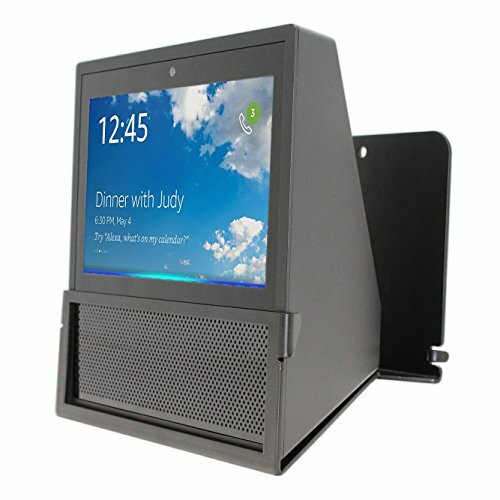 It is also easy to install and allows you to slide your Amazon Echo Show easily onto the mount. This design is made with from 18 gauge aluminized steel which makes it difficult to break. The model comes mostly assembled with only a few parts dissembled that need to be easily attached to the wall. It is also designed to provide a swivel of a 360-degree full rotation to provide perfect viewing angles from absolutely anywhere. You can also tilt it upwards and downwards depending on position. Additionally, it protects your device from being tipped over or from spills that may occur while using the device. 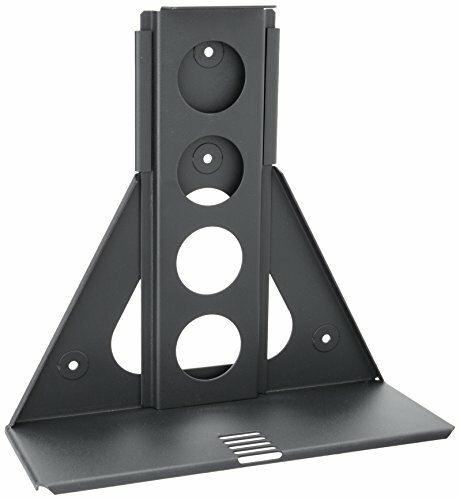 This wall mount by RACKSOLUTIONS is compatible with the Amazon Echo Show. In addition to its simplistic design, it has an extra lock feature with keys included to provide extra protection to your device. It also comes with a mounting hardware that enables you to mount your device on the wall securely without obstructing any ports, speakers or camera. This model is designed with 16 gauge steel and a matte black coat finish which leaves the top and back area open to access buttons and power chords. This wall mount by EMA is custom made for the 1st Gen Amazon Echo Show. It is made to securely hold your device for more stability and protection from anywhere you want it placed. It is made to provide a quality horizontal swivel of about 100-degrees to provide a wide range of viewing angles. This model is easy to install and simple to fit. It also includes screws and anchors.